Fast forward several years and, while you might not be composing fourth-grade creative writing stories about your pet dog and his worldly adventures, you are writing Stories. Scrum Story Writing is where you have the purpose of the Story is to deliver a high-level definition of a requirement. What’s a good Story without a little drama? The Story Description sets the stage by clearly presenting the conflict/problem to be solved. 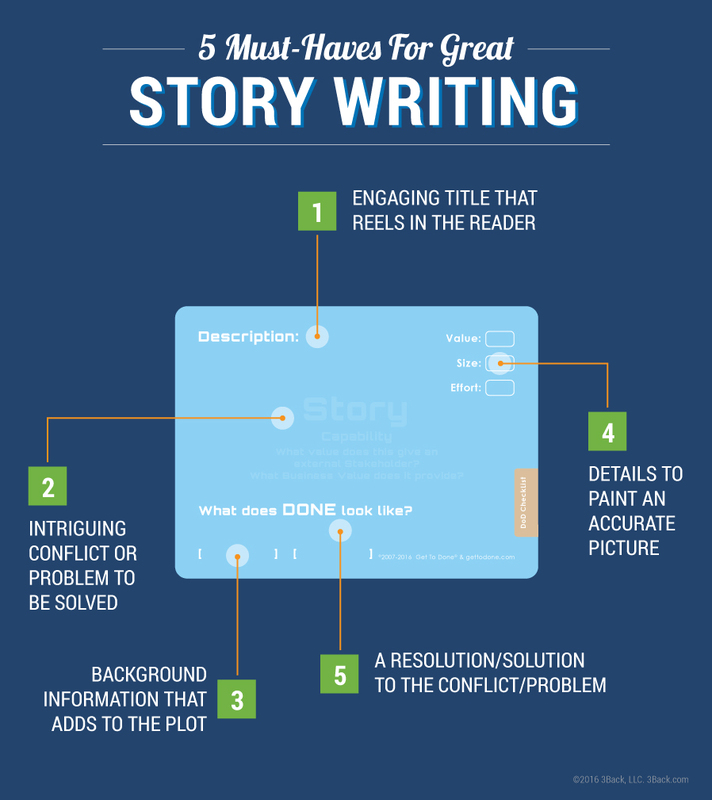 Proper scrum story writing has a description that will answer the who, what and why of the Story.